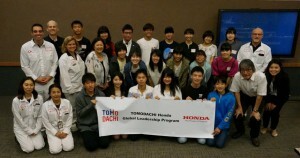 The TOMODACHI Initiative (“TOMODACHI”) and Honda Motor Co., Ltd. (“Honda”) have established a new program, “TOMODACHI Honda Global Leadership Program.” This program originated from the success of the “TOMODACHI Honda Cultural Exchange Program” from 2014 to 2017, in which high school students from Iwate, Miyagi and Fukushima Prefectures traveled to California for a cultural exchange experience. 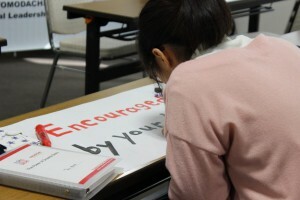 Starting from 2018, participation will not be limited to students only from the Tohoku region, but will be open to high school students from all over Japan. 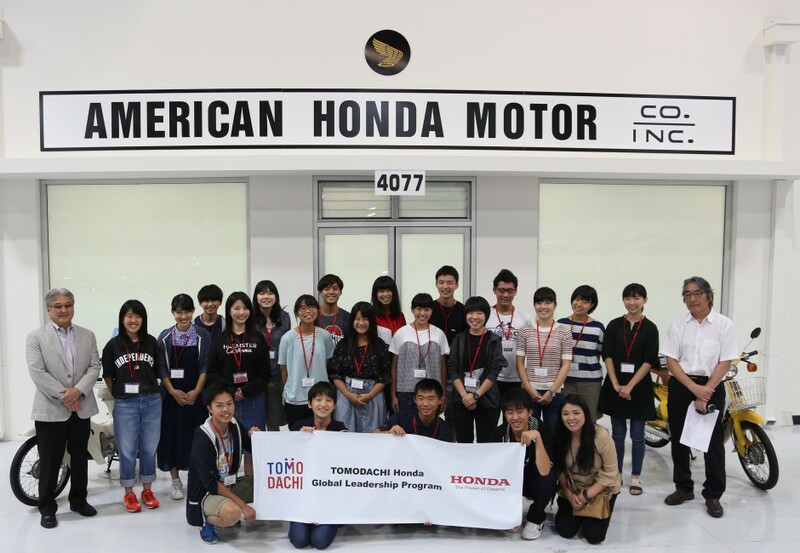 The selected students will have the opportunity to travel for two weeks to Los Angeles, California, and Marysville, Ohio, where Honda’s sales offices and manufacturing base are located. This program aims to provide an experiential learning opportunity for the next generation leaders to enhance global leadership skills and experience cultural exchanges between the United States and Japan. This program seeks to challenge the next generation leaders by exposing them to people that are driven by their dreams and showing them corporate activities that will inspire them to put their dreams into action. The students will also have a chance to learn about American society and culture through interactions with local high school students and homestays.